ART-idea's Director, Dr. Diane Dodd, attended the European Culture Forum in Brussels organised by the European Commission, 4-6 November 2013. The meeting had three main themes: Measuring the true value of culture; Exploring new funding models for culture and; Audience development – making cultural participation a reality. At the same meeting, an award ceremony took place to honour the authors of 12 innovative and not yet existing ideas for the cultural and creative sector using information technologies in interesting ways. The @diversity – European Idea Competition was launched on the 21st May 2013 and collected 262 ideas from all EU member states. 50 nominees were selected and posted on the projects website and the public voted on their favourite. The European Commission used other participatory tools for the conference, notably the Vox Pops session. Prior to the meeting, the EC invited people to send short Youtube video links of themselves presenting their ideas for culture in Europe. Seven were short-listed to present their ideas to the 1,500 conference participants. A fresh and dynamic session saw diverse ideas being presented very passionately. 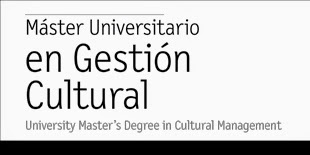 Dr. Diane Dodd is a lecturer on Cultural Institutions and Policies, MA in Arts and Cultural Management.